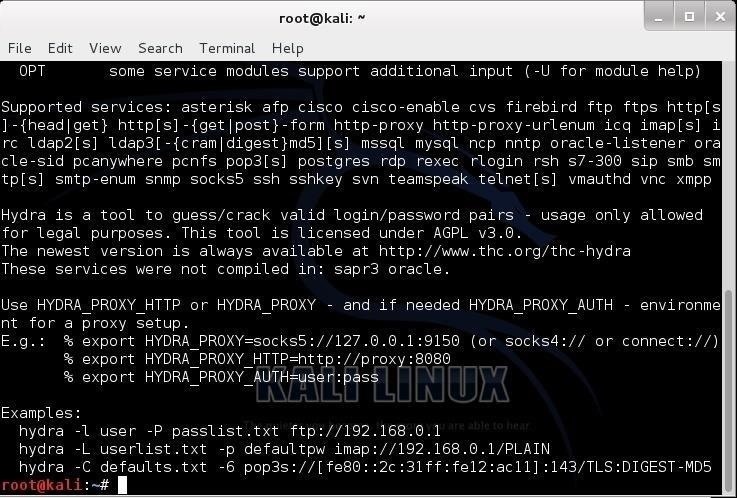 I have already done a few tutorials on password cracking, including ones for Linux and Windows, WEP and WPA2, and even online passwords using THC Hydra. Now, I thought it might be worthwhile to begin a series on password cracking in general. Password cracking is both an art and a science, and I hope to show you the many ways and subtleties involved. We will start with the basic principles of password cracking that are essential to ALL password cracking techniques, followed by some of the tools and technologies used. Then, one by one, I will show you how to use those principles and technologies effectively to crack or capture the various types of passwords out there. Passwords are the most widely used form of authentication throughout the world. A username and password are used on computer systems, bank accounts, ATMs, and more. The ability to crack passwords is an essential skill to both the hacker and the forensic investigator, the latter needing to hack passwords for accessing the suspect's system, hard drive, email account, etc. Although some passwords are very easy to crack, some are very difficult. In those cases, the hacker or forensic investigator can either employ greater computing resources (a botnet, supercomputer, GPU, ASIC, etc. ), or they can look to obtain the password in other ways. These ways might include insecure storage. In addition, sometimes you don't need a password to access password-protected resources. For instance, if you can replay a cookie, session ID, a Kerberos ticket, an authenticated session, or other resource that authenticates the user after the password authentication process, you can access the password protected resource without ever knowing the password. Sometimes these attacks can be much easier than cracking a complex and long password. I will do a tutorial on various replay attacks in the near future (look out specifically for my upcoming article on stealing the Facebook cookie to access someone's Facebook account). Now, let's start with the basics. In the Windows operating system, passwords on the local system are stored in the SAM file, while Linux stores them in the /etc/shadow file. These files are accessible only by someone with root/sysadmin privileges. In both cases, you can use a service or file that has root/sysadmin privileges to grab the password file (e.g. DLL injection with samdump.dll in Windows). A dictionary attack is the simplest and fastest password cracking attack. To put it simply, it just runs through a dictionary of words trying each one of them to see if they work. Although such an approach would seem impractical to do manually, computers can do this very fast and run through millions of words in a few hours. This should usually be your first approach to attacking any password, and in some cases, it can prove successful in mere minutes. Most modern systems now store passwords in a hash. This means that even if you can get to the area or file that stores the password, what you get is an encrypted password. One approach to cracking this encryption is to take dictionary file and hash each word and compare it to the hashed password. This is very time- and CPU-intensive. A faster approach is to take a table with all the words in the dictionary already hashed and compare the hash from the password file to your list of hashes. If there is a match, you now know the password. 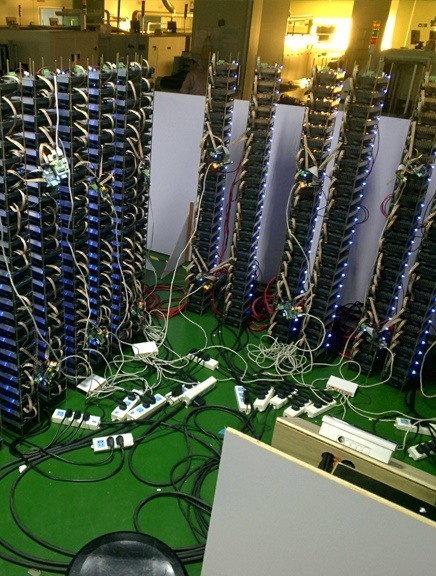 Brute force is the most time consuming approach to password cracking. It should always be your last resort. Brute force password cracking attempts all possibilities of all the letters, number, special characters that might be combined for a password and attempts them. As you might expect, the more computing horsepower you have, the more successful you will be with this approach. A hybrid password attack is one that uses a combination of dictionary words with special characters, numbers, etc. Often these hybrid attacks use a combination of dictionary words with numbers appending and prepending them, and replacing letters with numbers and special characters. For instance, a dictionary attack would look for the word "password", but a hybrid attack might look for "p@$$w0rd123". As much as we think each of us is unique, we do show some common patterns of behavior within our species. One of those patterns is the words we choose for passwords. There are number of wordlists that have been compiled of common passwords. In recent years, many systems have been cracked and passwords captured from millions of users. By using these already captured passwords, you are likely to find at least a few on the network you are trying to hack. Many newbies, when they start cracking passwords, simply choose a tool and word list and then turn them loose. They are often disappointed with the results. Expert password crackers have a strategy. They don't expect to be able to crack every password, but with a well-developed strategy, they can crack most passwords in a very short amount of time. The key to develop a successful strategy of password cracking is to use multiple iterations, going after the easiest passwords with the first iteration to the most difficult passwords using different techniques for each iteration. 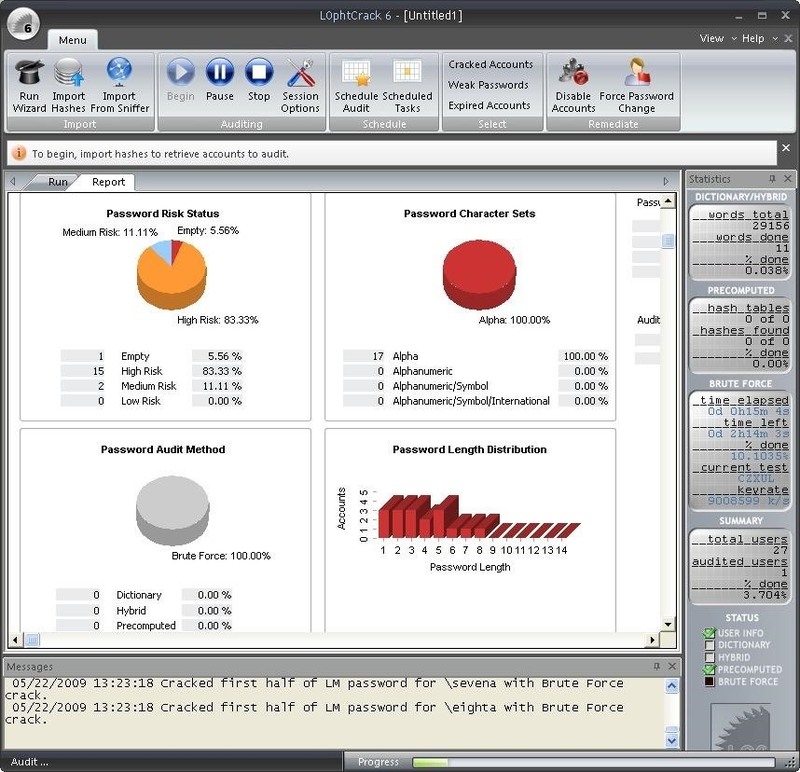 John the Ripper is probably the world's best known password cracking tool. It is strictly command line and strictly for Linux. Its lack of a GUI makes a bit more challenging to use, but it is also why it is such a fast password cracker. One of the beauties of this tool is its built in default password cracking strategy. First, attempts a dictionary attack and if that fails, it then attempts to use combined dictionary words, then tries a hybrid attack of dictionary words with special characters and numbers and only if all those fail will it resort to a brute force. Ophcrack is a free rainbow table-based password cracking tool for Windows. It is among the most popular Windows password cracking tools (Cain and Abel is probably the most popular; see below), but can also be used on Linux and Mac systems. It cracks LM and NTLM (Windows) hashes. For cracking Windows XP, Vista and Windows 7, you can download free rainbow tables. You can download Ophcrack on SourceForge, and you can get some free and premium rainbow tables for Ophcrack here. L0phtCrack is an alternative to Ophcrack, and attempts to crack Windows passwords from hashes in the SAM file or the Active Directory (AD). It also uses dictionary and brute force attacks for generating and guessing passwords. L0phtCrack was acquired by Symantec and they promptly discontinued it in 2006. Later, L0phtCrack developers re-acquired this excellent password cracking tool and re-released it in 2009. You can download the tool here. Cain and Abel just might be the best known password cracking tool on the planet. Written strictly for Windows, it can crack numerous hash types, including NTLM, NTLMv2, MD5, wireless, Oracle, MySQL, SQL Server, SHA1, SHA2, Cisco, VoIP, and many others. Cain and Abel can crack passwords using a dictionary attack, rainbow attack, and brute force. One of its better features is the ability to select the password length and character set when attempting a brute force attack. And besides being an excellent password cracking tool, it is also a great ARP Poisoning and MiTM tool. THC-Hydra is probably the most widely used online hacking tool. It is capable of cracking web form authentication, and when used in conjunction with other tools such as Tamper Data, it can be a powerful and effective tool for cracking nearly every type of online password authentication mechanism. Brutus is an online password cracking tool that many consider the fastest online password cracker. It is free and available on both Linux and Windows, and it supports password cracking in HTTP (Basic Authentication), HTTP (HTML Form/CGI), POP3, FTP, SMB, Telnet, and other types such as IMAP, NNTP, NetBus, etc. Brutus has not been updated in quite awhile, but it can still be useful and since it is open source, you can update it yourself. Brutus can be downloaded here. In my humble opinion, aircrack-ng is undoubtedly the best all-around Wi-Fi hacking software available. It is capable of cracking both WEP and WPA2, and it is also capable of doing the following, among many other things. It is only available for Linux and requires a bit of a learning curve to master, but you will be richly rewarded for the time spent learning it. In addition, to be most effective you will need to use an aircrack-ng compatible wireless card, so check their extensive list before buying your card. 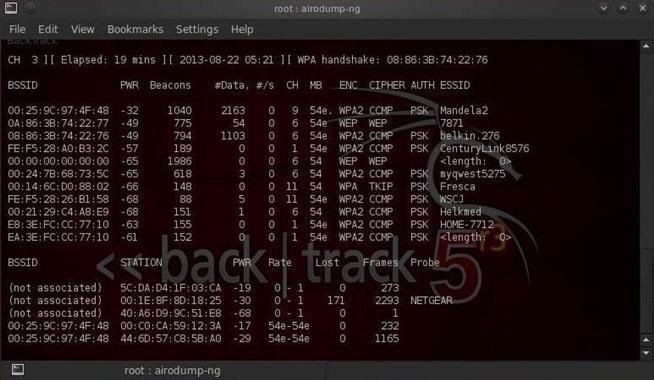 You can find more info on aircrack-ng over in my Wi-Fi hacking series. Aircrack-ng is built into BackTrack and Kali and can be downloaded here. Password cracking is simply a function of brute force computing power. What one machine can do in one hour, two machines can do in a half hour. This same principle applies to using a network machines. Imagine what you can do if you could access a network of one million machines! Some of the botnets available around the globe are more than a million machines strong and are available for rent to crack passwords. If you have a password that might take one year to crack with your single CPU, a million-machine botnet can cut that time to approximately 1 millionth the time, or 30 seconds! 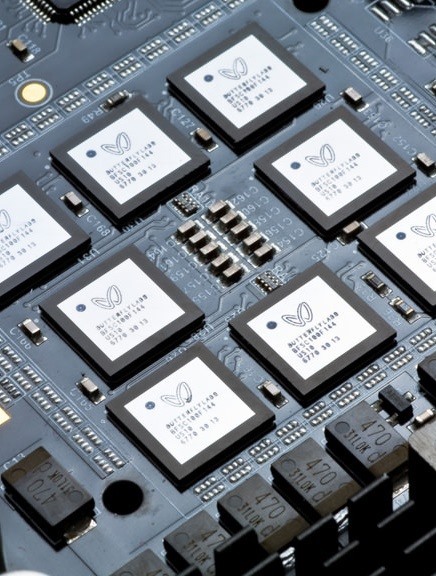 GPUs, or graphical processing units, are much more powerful and faster than CPU for rendering graphics on your computer and for cracking passwords. We have a few tools built into Kali that are specially designed for using GPUs to crack passwords, namely cudahashcat, oclhashcat, and pyrit. Look for coming tutorials on using these tools and the GPU on your high-end video card to accelerate your password cracking. 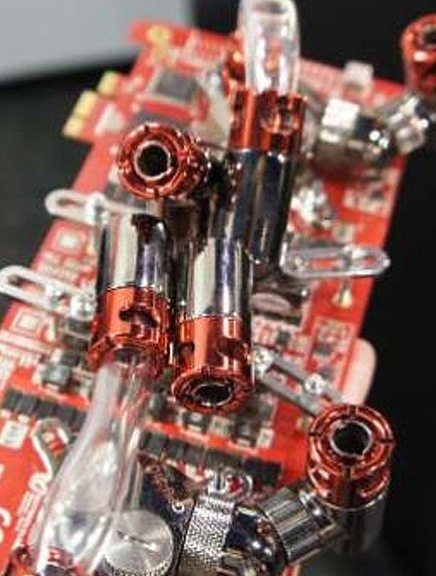 In recent years, some devices have been developed specifically for hardware cracking. These application-specific devices can crack passwords faster than over 100 CPUs working symmetrically. Black Arrow Software and Butterfly Labs, among others, are now selling these devices for prices up to $1500 per. That concludes our beginning lesson on the basics of general password cracking. Stay tuned for more lessons as we go more in-depth with specific examples of using some of the tools and methods we have just covered above. Thank you so much for all your contributions. Even though I have not tried most of your tutorials, I appreciate the information you are sharing. Do you think we can hack facebook passwords? Cause as we all know, Zuckerberg is also a hacker. I will be starting a series on hacking Facebook in the very near future. COOL!! I'm looking forward to that. what is the easiest program to use to hack a password, for free. Either Cain and Abel or John the Ripper are the easiest. when i downloading it are their then a big risk of getting a malware? and does it works on anything who needs a passw to acces? You don't seem to understand, YOU are now the hacker. Everything we use is considered a virus or malware. i saw alot of tutorials on youtube, but there where no hacking password only sniffing. the other program john the ripper is it possible to find a program for free like that to windows? sorry for all my qustions. I really aprecheait your help. Cain and Abel is good and is your best bet. Check out my tutorial here in Null Byte. is there a tool like brutus for kali..? Yes, there is THC Hydra. Actually, much better than Brutus. So is this for hacking like, game passwords too? I wanna ask can we perform any password attack to a target that we dont have physic access,and all we can gather from the target firstly is the dynamic ip.So my question is can we hack someone only from their dynamic ip(as long as that ip is available and do not changes)? Thank you for sharing all this amount of info. it is really interesting. so are these applications applicable to hack a Facebook password? in your last reply you said all passwords. Yes, it can be used to crack any password. Which is the best software to hack WPA2-PSK wifi on windows? In both cases i'm not seeing the nvidia screen, nor does the GUI on ctrl alt f7 work. I'm currently running the new kali 1.1.0 on a Dell xps l502x on dual boot. I tried the troubleshooting i can find on the internet but nothing seems to work. Because my quadcore processor only runs around 240 hashes per core per second i'd like to use the GPU. Since english is not my foreign language, i excuse myself for possible faults in grammar or spelling. I got only 25 percent of my previous power, without pyrit ever 'seeing' my gpu. Maybe you could find a moment to help me out getting my k/s up to a more acceptable speed? It's around 1800 for aircrack and pyrit by default. sorry. you don't belong to here. go home. Which one would be easiest for cracking game account passwords? Like runescape and minecraft? I have a question, can I send a malicious link to hack a password by making him log in again? or are there any better ways to hack a fb account? I love this post may i print it master? my facebook account had been hacked. how can i recover it, hacker change my email id nd phone number from id.???? I'm sure what you mean by Cain and Abel only working if someone used your computer? In the tutorial above, we are able to break the password from someone else's computer. As long as your can get the SAM file, you can crack the hashes. Hmm if i look at the toturial cain and abel seems to do the trick. But if i click on it, the guide you made says i need to have physical acsess to the computer i want to crack. What if smeone with windows want to crack another with windows ? To get the SAM file, where the hashes are, you need to get pwdump and samdump on the system. Once you have the hashes, you can crack them anywhere from any machine. But i need physicall acsess to the computer to install pwdump and samdump right ? Not necessarily, but that is the easiest way. If you can remotely control the computer with netcat, a rootkit, Metasploit, etc. you can upload pwdump to the target. Is that difficult for a noob ? and is it not possible at all to use brute force or something like that to guess a password without installing all kind of things on the other computer ? Everything you need to know is included in these pages. Thank you for the basics.I have many questions,but I shall wait till I complete the series...hoping they'll be answered in the next articles. Hey OTW I've been viewing a lot of your tutorials lately and I'm really enjoying them. I have a question tho. I'm trying to hack a wifi password using brute force and I wanna know if there's any way I can do it on multiple computers so I can get the password quicker. If so can you please tell me how? Hello, I have been searching for a way to hack Instagram, and I would like to ask you if you knew the best way to accomplish it. I have mostly all the programs you have mentioned in your tutorial, but I don't really know how to go about it. If you could, then please answer my question when you can. Hello sir! Can you help me to hack other account? Sir which can i use to crack a survey? And btw sir. They are using other computer or phones when logging in. Can i use my computer or phone on hacking their acc? Can yahoo password be hacked ? Can I hacked someones yahoo password? I wanna ask can we perform any password attack to a target that we dont have physic access,and all we can gather from the target firstly is the dynamic ip.So my question is can we hack someone only from their dynamic ip(as long as that ip is available and do not changes)??? I am not skilled hacker I am only normal PC user. I read a lot on this page, but I still don't get knowledge what I need. I want get to my girlfriend account on internet page(some kind of dating internet page). I can´t get to her PC. What I know is internet page and account name. I don't know password. Can someone help me some way ?